This Paithani Silk saree is hand woven with natural silk threads and silver threads, and pure vegetable colors add a unique luster to this traditional saree. The high thread count of silk fabric gives a sturdy and yet smooth and cool feel to the wearer. 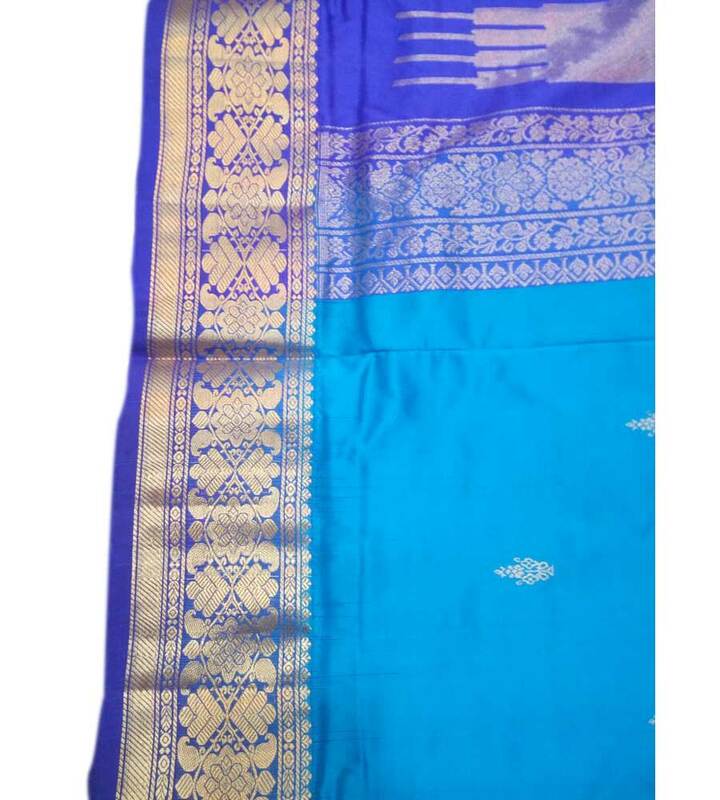 This elegant Blue colored Paithani silk saree with attractive interwoven floral design on the body along with golden zari border, with the pallu that is interwoven with golden threaded work, is an ideal wear for all festive occasions in your life. 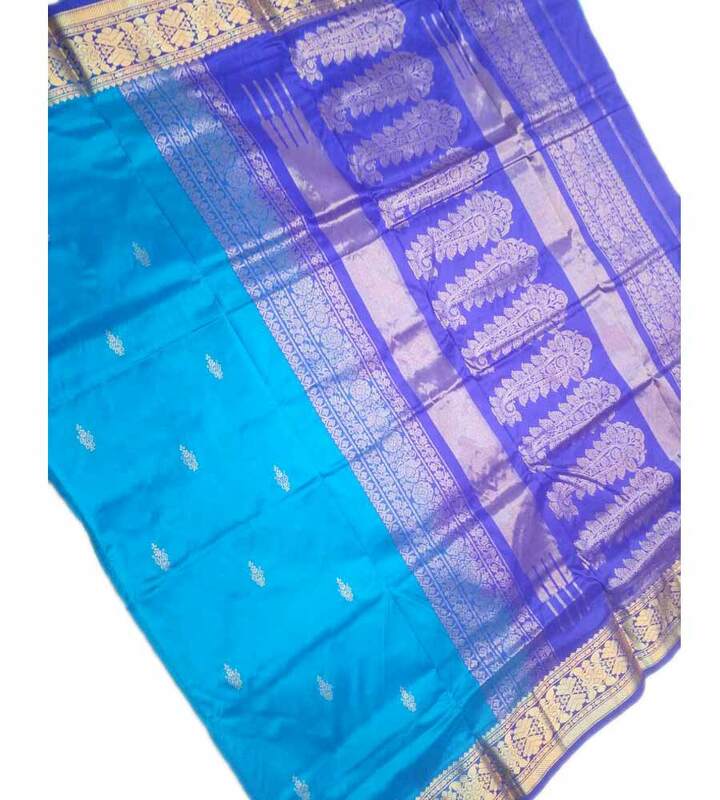 Paithani saris are made from exquisite silk and are hand woven. They are considered to be the richest saris in all Maharashtra. 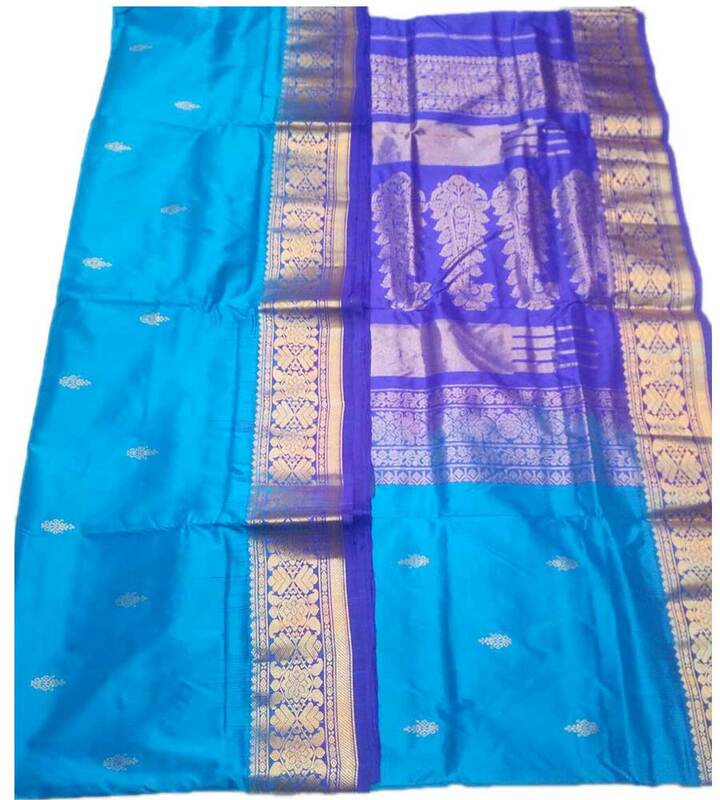 Paithani saris are said to be hand woven poems in gold and silk. They are a symbol of the intellectually refined elites. The craft of weaving the sari was invented in 200 B.C. and flourished during the Satvahana era. Ever since then, the Paithani sari has become a coveted heirloom that is passed on from generation to generation.